In 1968, Time Out was created in London to help people make the most of the city. The iconic brand’s fiftieth anniversary will be celebrated with a book and an exhibition, both titled Time Out 50: 50 Years, 50 Covers and packed with fifty amazing magazine covers and the stories behind them. The exhibition at London’s Museum of Brands will open from 12th September 2018 to 3rd March 2019; the 128-page paperback is published by Unicorn on 21st September and available at timeout.com/50 and from all major bookshops and online retailers for £20. Time Out 50: 50 Years, 50 Covers presents fifty magazine covers from Time Out’s archive and their stories – it is a journey through the changing face of London and fifty years of everything new, cool, weird, wonderful and unique in culture and entertainment. Curated by Time Out editors, the covers reflect key moments of city life from 1968 up to the present day; they give a unique insight into the evolution of magazine design, Time Out’s eventful history and how Time Out has chronicled, shaped and become an inseparable part of life in London and other cities around the world. Both the book and the exhibition include the first Time Out London issue from 1968, a cover featuring an Andy Warhol soup can design to celebrate an exclusive interview with the artist, the 1974 cover marking Winston Churchill’s 100th anniversary with a subversive take on his trademark V-sign, the first free Time Out London magazine from 2012, and cover stars including David Bowie, Elton John and Joanna Lumley. As well as in-house design, the book and the exhibition will showcase designs by artists including Banksy, Jamie Hewlett and Ralph Steadman, and photographers such as Perou. Also included in both the book and the exhibition are many of the ground-breaking classic covers by Time Out’s legendary cover designer in the 1970s and early 1980s Pearce Marchbank. The book also draws on the memories of well-known Londoners like Sadiq Khan, Dame Helen Mirren and Sir Terence Conran alongside Time Out writers, editors, designers and contributors and Time Out founder Tony Elliott and Time Out Group CEO Julio Bruno. 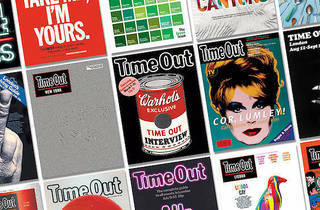 Time Out was born in London in 1968 when Tony Elliott, at the age of 21, created a kitchen-table magazine – partially funded by a £70 birthday gift from his aunt – to help Londoners explore the exciting new urban cultures that started up all over the capital. Fifty years on, Time Out is still writing about the best things to do and places to go in 108 cities and 39 countries, inspiring people to make the most of the city with its websites, mobile apps, social channels, live events, magazines, offers and with Time Out Market which brings the best of the city together under one roof. 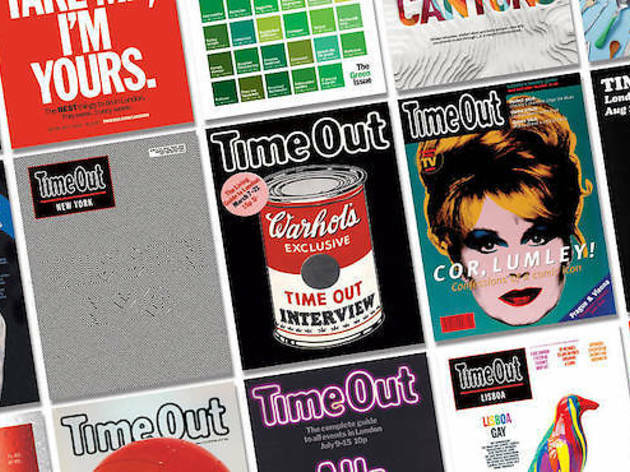 As Time Out has evolved as a global digital brand, magazines continue to play a key role to reach an experience-hungry audience and a strong focus has always been to create unique cover designs, often winning awards. As well as the London magazine, Time Out has been publishing in other cities since 1995 when Time Out New York launched; there are now magazines and websites in cities such as Chicago, Barcelona, Lisbon, Tel Aviv, Hong Kong, Tokyo and Sydney. Caroline McGinn, Time Out’s global editor-in-chief, said: “Time Out has spread from Tony Elliott’s mum’s kitchen table in 1968 to 108 cities in 2018, and has influenced generations all over the world to go out and make the most of their city. It’s our curation of the best things by expert journalists that has inspired millions of people. Our imaginative, powerful and witty design is essential to that.